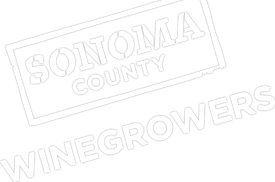 April 28, 2014, Santa Rosa, Calif.,—The Sonoma County Winegrowers (SCW) are proud to announce the appointment of Robert LaVine as Sustainability Manager to help the organization reach its goal of bringing 100% of the vineyards in Sonoma County sustainable by 2019. In this role, LaVine will oversee all aspects of the Sonoma County Winegrower’s push towards becoming the nation’s first 100% sustainable winegrowing region, including supporting the development and implementation of the program; supporting Sonoma County winegrowers in their sustainability assessment and certification process; providing education and workshops to growers and other wine industry stakeholders; tracking, measuring, and communicating the progress of the initiative; as well as expand and build new sustainability partnerships. LaVine is a well-respected viticulturist with more than 30 years of winegrowing experience throughout California with an emphasis on implementation, education, and promotion of sustainability. Most recently, LaVine worked at Fetzer Winery as Director of Sourcing where he was responsible for sourcing grapes, juice, and bulk wine for production of luxury, premium, and popular priced brands from throughout California and throughout the world. This included leading the company’s efforts to promote sustainability with its vineyard sources throughout the state, including organic producers. Prior to that, LaVine worked for two decades at Robert Mondavi as Director of Winegrower Relations in the Central Coast region. During this time, he was a founding member of the Central Coast Vineyard Team, a groundbreaking group of winegrowers that took a leadership role in the early adoption of sustainable vineyard practices. He was also on the development committee for Sustainable in Practice (SIP) program. LaVine has a Bachelor of Science in Biological Sciences from the University of California, Davis.